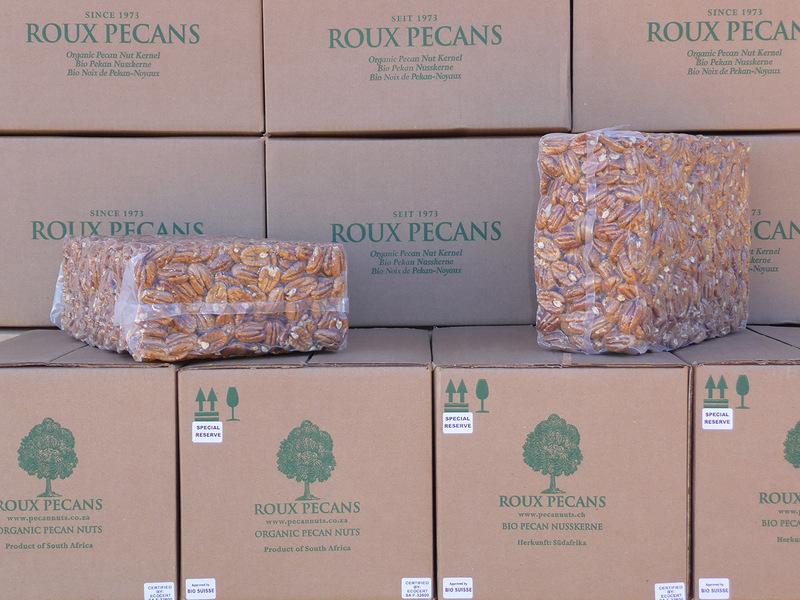 Organic Roux Pecans XL pieces in stock! 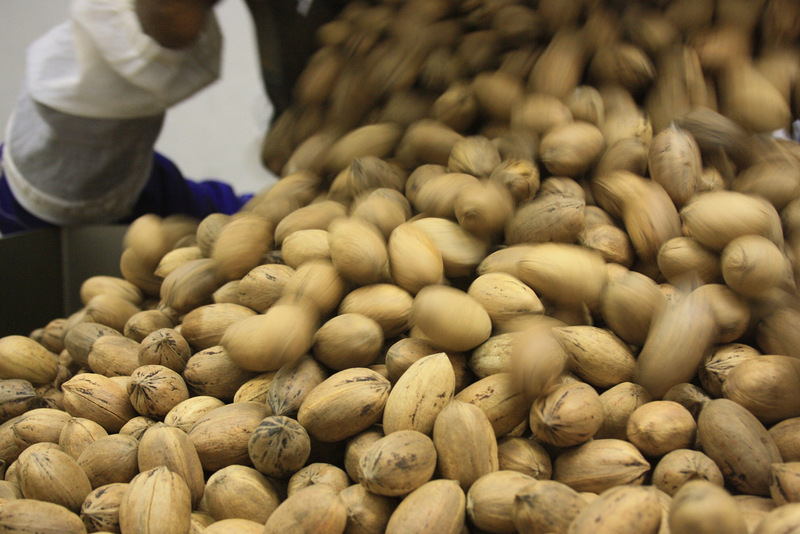 Currently the last organic inshell pecans are being cracked at the Roux Factory in South Africa. There will be two more shipments and then the 2018/2019 crop will have been processed completely. We will have Organic Roux Pecan halves and XL pieces at your disposal, so please let us know if we can make you an offer. 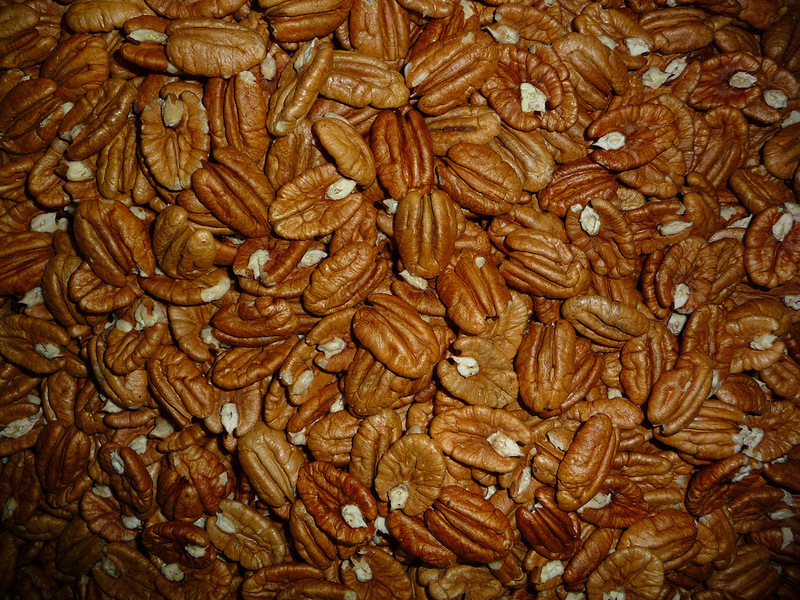 As you know the quality and taste of the raw Roux Pecans is excellent and better than any pecan in the market, be it from US or South African origin. The (raw) production process and the farming practices at Roux farm results in a product that is perceived as premium by the trade and consumers. 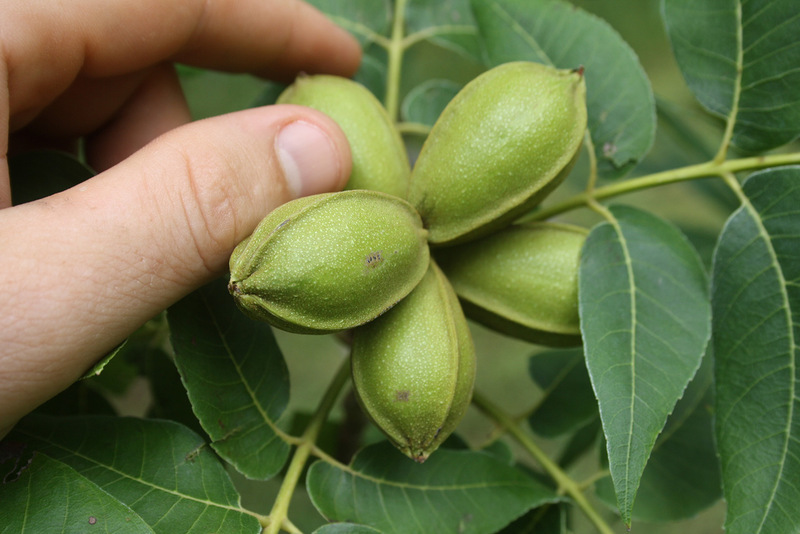 Currently we would like to sell some Organic Roux Pecans XL pieces, so please let your account manager know if you are interested, so we can make sharp offers. The first signs of the new crop are now slowly becoming visible on the trees. The 2019/2020 harvest will start in June. Although the expectation is that the crop in South Africa should be good; the Roux crop 2019/2020 will be 30% smaller in volume than 2018/19 crop. At Biofach we will bring forward attention to the Big Skies Foundation; a non-profit company which aims to bridge the gap between the dreams of remote, rural based children in South Africa, and the financial resources required to achieve them. After 24 years of democracy, South Africa has made progress in establishing more equal opportunities than was previously the case, but widespread poverty, inequality, and unemployment remain. Education is a key prerequisite for the successful and sustainable eradication of these issues. It is an enabler of growth, opportunity, and prosperity, and can be the foundation of a bright future for a growing population. Roux Pecans lies in an extremely remote desert region in South Africa. For our farming community, access to schooling is difficult in terms of the daily distances children need to travel, and even once at school, the resources available to these children are poor. Year-on-year, government spending on rural farm schools appears to be diminishing, and it’s often the case that those funds never even arrive, with the result that the communities most in need of education, are left in a cycle of hopelessness and degradation. To this end, for the past three years Rhumveld and Roux Pecans have worked to build on their 18-year relationship, by collaborating to find practical solutions that can assist the local farm school in Witput and thus give these students a better chance. This joint effort began with providing assistance to Witput Primary, the local farm school closest to Roux Pecans, in the form of funding for basic school supplies such as crayons, pencils and paper, as well as funding and project management for the upgrade of dilapidated school buildings. Having witnessed the difference these initial efforts made, and with desire to do more, a registered Non-Profit Company has subsequently been incorporated in South Africa to create an appropriate vehicle to further the work already done in uplifting the access and quality of education in the local area. With a sustained and clear goal to help realize the educational dreams and desires of the community where the Roux family live, this mechanism focuses funds towards building on the work that has already been done for Witput Primary School, while at the same time setting sights on more meaningful and enduring initiatives such as creating a pipeline of funds for bursaries, training to teachers, and the further general development of education in the local community.